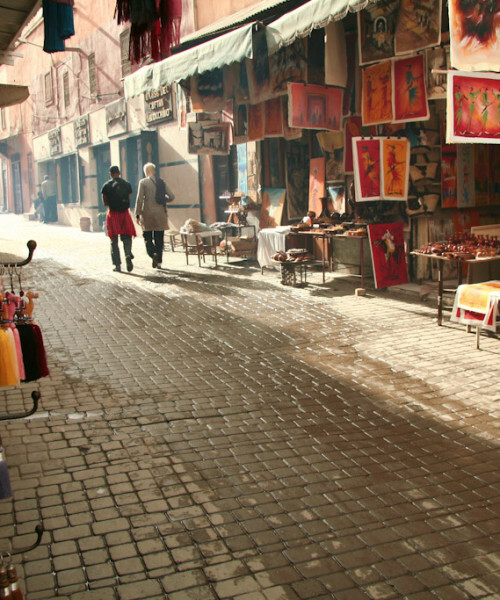 This trip is dedicated for those who love to travel and we call it the “Moroccan Circle”. 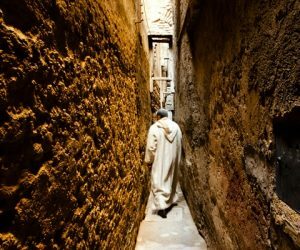 You can start it at any point but here it is described starting from Marrakech, going south over the Atlas Mountains to the Sahara desert and the town of Taroudant, then down to the coast at Essaouira. This works perfectly over 12 nights but can be done comfortably in 10 nights as well. 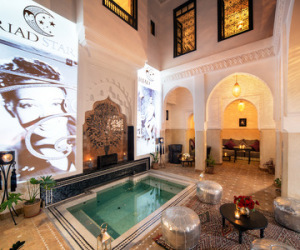 We often recommend clients do it in reverse enjoying some chill-out time in Essaouira to start with and then finishing in Marrakech when you can fully appreciate the vibrancy of the city. 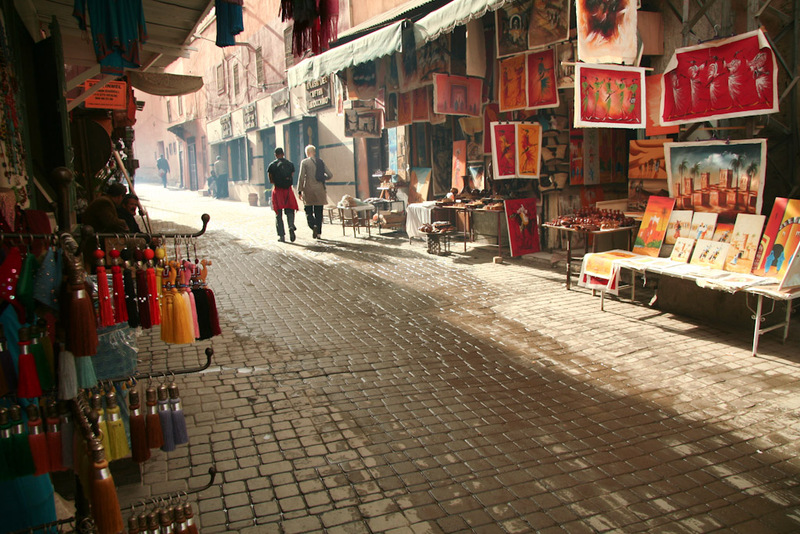 You will leave Marrakech early and within 30 minutes be winding your way up the Atlas Mountains to the Tizni-Tichna pass and the gateway to the desert south. A good lunch-time stop is the World Heritage site of Ait Ben Haddou – a rock fortress and village carved into the mountains. In the afternoon you head south to the quiet town of Agdz for the night. 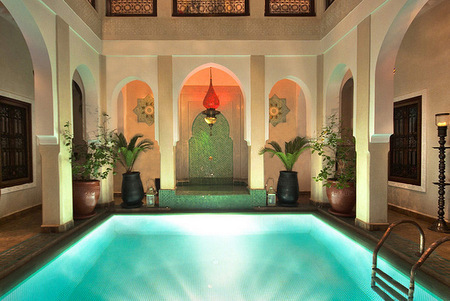 Kasbah Azul is a perfect place to unwind after the travelling. 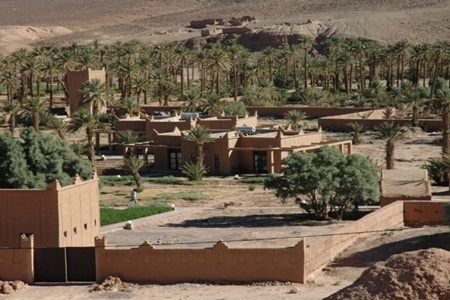 From Agdz, you travel along the Draa valley, famous for its oases and pottery until you reach the end of the road at M’hamid. From here it is 4×4’s (and camels only) and you have an hour or so to reach the desert camp in the massive dunes of Chiggaga. 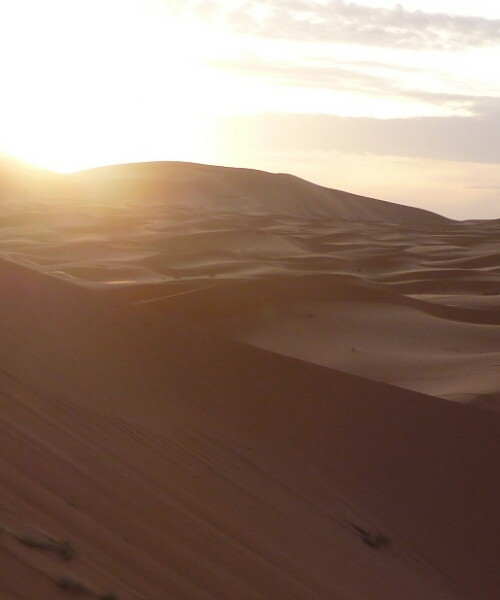 Here you will assigned sleeping quarters, maybe climb a dune to watch the sunset and then settle to watch your nomad hosts prepare dinner and entertain you while you eat. Then to bed under the stars. 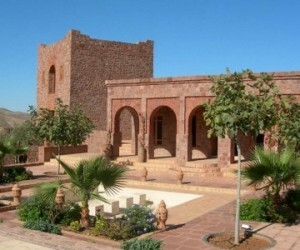 Travel from Taroudant up the winding coast road to Essaouira to relax for 4 days. 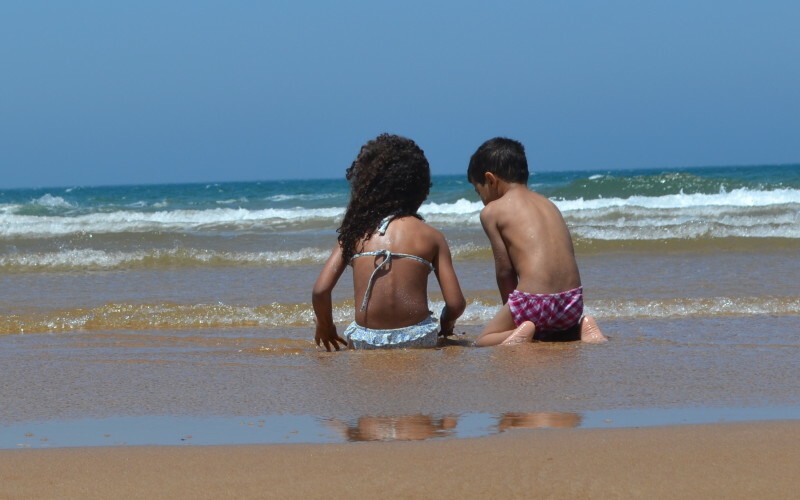 There is loads to do in the area around Essaouira: camel trekking or quad-biking on the massive beaches, loads of watersports and the town itself has fabulous souks and loads of places to eat. On day 13 your driver will come to pick you up to take you back to the airport to catch your plane home. Cost for the 12 nights is from £1095 per person in mid season (excludes flights) based on 2 sharing a double room or from £950 per person for a group of 4. Includes all transport (private air-conditioned vehicle with English-speaking driver) and accommodation on B&B basis plus half board for 3 nights in the desert. 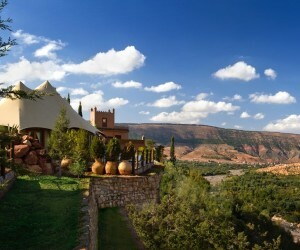 The trip can also comfortably done as 10 nights from £965pp with a day less in Marrakech and on the coast.